Air New Zealand flies the Boeing 787-9 to Perth. Air New Zealand is hoping Australia will be the goose that lays the golden egg as the airline launches a new marketing push to grow passenger numbers from this side of the Tasman travelling to the Americas via its Auckland hub. 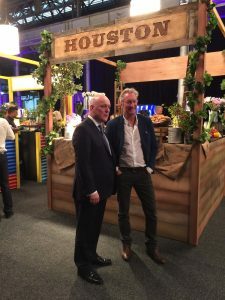 The Star Alliance member has enlisted the voice of Australian actor Bryan Brown in its new advertising campaign, which was officially launched in Sydney on Thursday and will premiere nationally on television on Sunday night, and established state-based sales teams to spread the message about its network in North and South America. Passenger research showed only four in 10 Australians were aware Air New Zealand flew to destinations beyond the Tasman, the airline’s chief executive Christopher Luxon told invited guests, media and airline staff during the official launch of the “Better Way to Fly” campaign. “Most Australians know us as flying on the Tasman and we’ve been doing that job I think incredibly well,” Luxon said. Air New Zealand serves Houston, Los Angeles, San Francisco and Vancouver in North America, as well as Buenos Aires in Argentina. It also flies to Honolulu, Hawaii. Luxon said about 20 per cent of passengers on its Houston service, and about 40 per cent of passengers bound for Buenos Aires were from Australia. Both routes were launched in December 2015. The figure was in the double digits on the rest of its North American network. The chief executive said the airline was hoping to take a bigger slice of the Australian long-haul market, noting a quarter of all international/long-haul departures from this country were headed to the United States, South America or Canada. “We are really comfortable in our ability to compete and make a really attractive proposition for Australians to come through Auckland to the Americas,” Luxon told reporters after the official launch. Luxon said the push for more Australian transfer traffic to the Americas could pave the way for more widebody services on its trans-Tasman schedule. The trans-Pacific market has experienced strong growth in recent times, given the launch of the two Air New Zealand long-haul routes to Houston and Buenos Aires, as well as the arrival of new services from American (Los Angeles to both Auckland and Sydney) United (San Francisco to Auckland), Air Canada (Brisbane to Vancouver) and Qantas (Sydney to San Francisco). That has led to pressure on yields, as airlines offered bargain fares to maintain load factors. Asked about the state of the market, Luxon took a long-term view. “What Australia and New Zealand have to offer as a tourism proposition is immense,” Luxon said. “There is a tidal wave of demand sitting out there – whether you are sitting in Asia, the Americas, Australasia – that’s coming our way whether we are ready for it or not. “Just be really clear, that’s the canvas by which our business is really painted on. 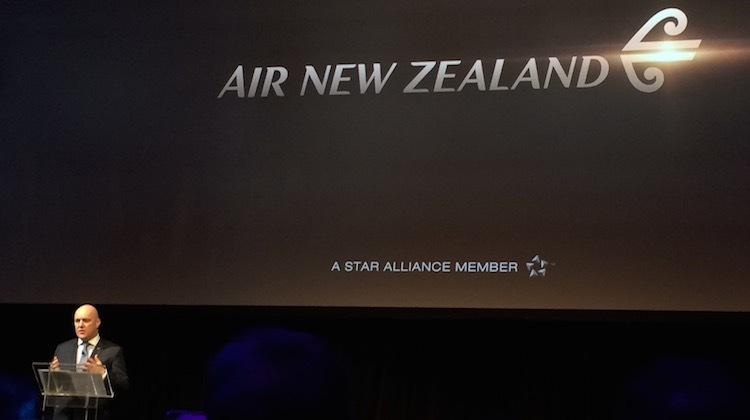 Air New Zealand chief revenue officer Cam Wallace said the airline offered a broad network of international destinations and talked up the advantages of an international-to-international connection over Auckland rather than a domestic-to-international transit in Australia. In the advertising campaign, Brown is the voice of “Dave”, a migratory goose that has chosen to make his regular trip to North America on Air New Zealand rather than with his regular flock. “I would argue we are not just your bog standard airline with some boring people who look very dissatisfied with their jobs, we are not just doing the boring inflight safety videos or the sameness of advertising of insert airline logo here,” Luxon said. Hopefully for Canberra Airport this might mean some flights between Canberra and Auckland. Maybe even to Christchurch..
Well up there with their best safety videos. The Air NZ marketing team is running rings around the opposition at present. However, uptake from Aussie travelers will depend largely on how the total journey time compares with the established Aussie/US carriers, notwithstanding the efforts of a whimsical goose. 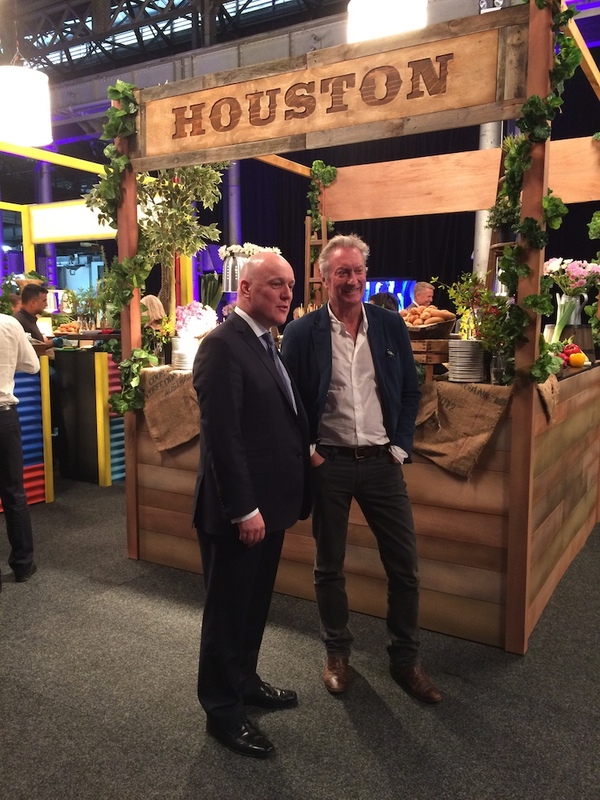 I recently returned on a trip to Buenos Aires via Perth and Auckland. I have to complement Air New Zealand on rheir seamless flight to South America. (though one of our carefully packaged precious bottles of wine was broken in transit). I put that down to the handlers. We couldnt fault the service or the meals and smooth flight. Love the hot scones, jam and cream on the afternoon flight. The staff were great. I am a regular Perth-NZ traveller. I don’t see to much growth SYD/MEL/BNE to LAX/SFO via AKL when there are direct services from Australian east cities. I do see see growth from ADL/PER to SFO/LAX via AKL. Definitely there is potential from ADL/PER/MEL/SYD/BNE to IAH/EZE via AKL,. The only goose is the kiwi taxpayer, set the airline free. Forget trying to pinch capital city travelers in markets with existing connections. This is an excellent opportunity for Air NZ to connect under-serviced or un-serviced Australian regional cities and smaller capitals with NZ, and onwards to other destinations – effectively swelling the potential market without going head to head with existing non-stop services. Cities like Hobart, Canberra, Newcastle, Sunshine Coast and Townsville would relish the permanent direct NZ connection, and provided ticketing, flight numbering, through-baggage and customs were coordinated, and the marketing was effective, then Air NZ also creates multiple one-stop destinations from a single service. G4george – it is a model of ownership that provides an excellent income stream for the NZ taxpayer. Quite why they would turn that off isn’t explained by you. There is broadly $200m – $300m in profit (let alone tax) created for the tax payer per annum. Currently the profit is 50% per annum of the bail out way back in 2001. James from Sydney, you need to expand your thinking. Ansett wasn’t just Air NZ’s fault. Talk to the previous owner’s and shareholders – Air NZ’S biggest problem was not doing due diligence. They were sold a pup. If you don’t forgive – then I hope you don’t drive a Japanese or German car! They didn’t really sell why they are any better than qf. The price would want to be significantly cheaper to cope a layover in Auckland than to just go direct. Air Nz has a great reputation for service and Auckland is well known for being an excellent airport for transfers. Huge potential to capture the market outside of major cities. Canberra, Hobart, Newcastle, Sunshine Coast and Townsville are all crying out for international service!. At least daily A320s needed to each point. Two potential new routes could be Auckland – Townsville – Alice springs – Singapore and Auckland – Townsville – Darwin- Singapore. Air Nz is sitting in the box seat as Qantas and Virgin don’t seem interested in routes outside Sydney, Brisbane and Melbourne. Just thought of another route air Nz could do: Auckland – Canberra- Bali – Singapore. Would have a good mix of business and holiday passengers! Air NZ is great from PER to the Americas. Some might complain about the long layovers (connection timings aren’t great from Perth) but the airport hotel is pretty sweet at AKL for a few hours. So their expensive ad shows a route map, but for some reason they decided to omit Sunshine Coast? Are they going to discontinue the route? inherentchoice – Cairns isn’t included also, so I would assume they just have the year-round flights on the map and not the seasonal ones. To inherentchoice, you’ll note CNS was also left off in addition to MCY as these destinations are seasonal only. If it was me I’d have had them there too, but in a different colour or something to distinguish they’re not all year round. MCY is a fabulous service, very popular. Doubt it’ll go. @inherent choice – The ad didn’t have Cairns or Sunshine Coast – once again the capital city focus coming out unfortunately. Whilst the regional markets in Australia are small compared to our overly-dominant capitals, collectively they could represent a very lucrative market if Air NZ wanted to capture it. QF, JQ, and VA aren’t overly interested in making the running and Air NZ might just get a high degree of loyalty from regional Australians who feel under-represented by their own airlines. 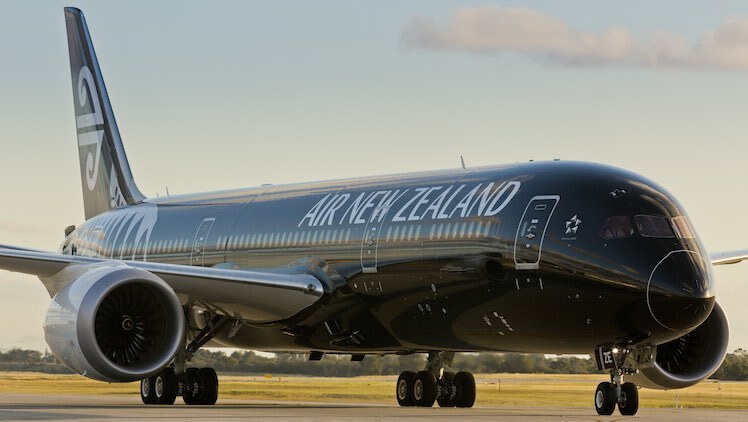 One stop to the Americas, no requirements to change terminals enroute, and the bonus of also getting a bunch of regional cities (TSV, MCY, NTL, CBR, HBA) connected to NZ – could be a crafty move if Air NZ wants to make the market. A friend recently flew United on a Ski trip from Brisbane to the US . On the return leg , a late domestic flight in the US meant he missed his connection at SFO for SYD then BNE .He was put on Partner Airline ANZ . SFO – AKL – BNE . Remaining in transit in AKL and then into BNE international was way better than arriving SYD and having to clear immigration and change terminals to pick up the domestic to BNE ..
Air NZ is not interested in serving more Australian cities. As the market is so fragmented even AKL-CBR is too thin. All the secondary centres can be more effectively served with the VA codeshare which covers 45 domestic destinations in Australia. Looks as if Air New Zealand and Singapore Airlines could be do more for regional Australia than any government or domestic airline. One problem is instead of international tourists flying into Australia to stay in Australia for a few weeks and then pop over to New Zealand for a week. They might fly into New Zealand for a few weeks and only pop over to a part of Australia for a week. From comments above it looks like one-stop services through AKL without having to change terminals (DOM / INTL) at BNE/SYD/MEL is a potential winner. One hopes Air NZ has the appetite to craft a niche market out of these other smaller Australian cities. Collectively they represent a large untapped market. Air NZ would probably get brand loyalty out of Australians – that seems to be the case on the Sunshine Coast. Would the Australian carriers let them have it, or would Air NZ moving in this space suddenly spur on the Australian carriers to protect a market they currently don’t service anyway! Oh the irony in that. I am going to Honolulu soon, I am retired and wanted to go PE. so really my only option was Air NZ as. I live in Melbourne. I could have gone directly with Jetstar but the option there was “jetstar business” , and I note the HON flights are quite often delayed. .I could have gone QF but who wants all that fuss at Sydney transferring to International. I have transited AKL many times and find it is always a good experience. to me its a no brainer. There is a reason they pulled out of VA!! They are a successful arline, and there is a reason for it. As a Canberra resident, I can tell you that I really dread having to go through SYD airport for international flights. It seems to me that no Australian or New Zealand airline took the Canberra market seriously, and it was Singapore Airlines who brought to us 4 weekly flights to Wellington and Singapore direct, on a comfortable plane such as the Boeing 777. For many people in Canberra, the more direct flights to Asia and even a one-stop Europe is very preferential, and can include a relaxing stop in Singapore to break the long hour haul to Europe. I would even go to South Africa, using Singapore Airlines. No more having to do the 3 hour, 15 minute bus down to Sydney, or paying a high add-on price for air to SYD. So, as far as Europe and Asia destinations are concerned, we are now more or less able to avoid doing Sydney. For regional Pacific islands and the Americas, we still have to travel to Sydney. Air New Zealand could be a player here, but it seems to me that like Qantas, they still prefer us to make that bus trip down to Sydney, and for me, this is a disincentive. I have already signed up to Singapore Airlines’ frequent flyer program, and plan to use SQ as much as possible going in to the future. Virgin wants to get rid of their Embraer E190s. How about partner Air Nz grabbing them and using them to serve regional Australian ports? They could be the right size aircraft for these markets! The number of comments here indicates the high level of support they would get! All the support equipment is already here. Air NZ will not more regions as it will hurt VA codeshare and take passengers off them which they are not intending of doing. I think AirNZ need more wide-body flights from the 3 major AU cities. The time tables are terrible for an early arrival into AKL too. I usually fly Emirates because I prefer the comfort of a larger plane, rather than being squashed into an A320. I really don’t like the AirNZ A320, Compare AirNZ A320 to a Virgin Australia Boeing 737 and there is just no comparison, VA wins every time in my opinion for service, cabin and seat comfort.. I completely forgot to add as a side comment; – to get to Europe AirNZ fly AKL via LAX. to LON. Why can’t they fly via Singapore or Hong Kong? Chris there are no nonstop from BNE or MEL to SFO, only from SYD & no one from outside of SYD wants to have to change terminals at bloody awful SYD. You appear to a fan of driving (or at least justifying) as much business and market share through our overtly dominant capital cities / capital city airports as possible. Dogmatic economic rationalism stymieing creative, calculated growth it would seem. Looking at the posts from this and other recent stories it would seem there is a ground-swell of passengers that want the status-quo challenged. Domestically Air North has started to play in this space – hub-busting – but they seem to be in the advanageous position of having the right sized equipment, good cost structure, and some creative thinking that endorses calculated risk. There is a large number of cities in Southern Europe and North America with airports that have very similar passenger numbers to our regional airports (1-3 million) (making them as close as possible to a fair comparison), but get those passenger numbers from 5-10 equally busy routes, or at least a much larger spread of routes (and often on direct routes from smaller cities, not just the capitals / dominant cities of the region). The airlines servicing these markets are obviously working hard to generate economies of scale, which begs the question why aren’t thin routes workable in Australasia like they are elsewhere? Or at least why are the airlines in Australasia so disinterested in trying to make them work? Our airlines have a lot of traffic funnelled through capital city routes and it’s a pretty convenient arrangement. It would appear that there are a good number of potential travelers in those markets who are disaffected by the airlines of the Australasian region continuing to push traffic primarily through MEL/SYD/BNE, and who are hoping that one of these airlines will break away from the pack and open up new markets. Even using AKL as the break-of-plane location forces the system to work differently and gives the passengers a new option – which is what these posts seem to be about. I was working for AirNZ during the Ansett demise and have an internal understanding of causal factors. As stated the worst thing Air NZ did was not carry out a strong due diligence. As Often stated Ansett were a great airline but a lousy business. I was very sad to see the outcome as had a lot of friends in AN but if you do proper research it is evident that the rot started in the early nineties . I know the Ansett Debacle was a long time ago but whose really to blame is Rupert Murdoch for his selling his part of them and News Limited to Air New Zealand of all people.you would think as a successful rich businessman he would have had more sense than that. Interesting analysis, yes what really needs to happen is a new bold operator like Air North or JETGO to come in and open up the market place with new routes like CBR/NTL/HBA to AKL. At the moment there is a Gentleman’s agreement with AIR NZ and VA that funnels all the passengers through the 3 Australian hubs BNE/SYD/MEL to the 3 NZ hubs AKL/WLG/CHC then onto the regional network. The logic behind this is to keep load factors high on the transtasman services. Does anyone know if BITRE actually publishes the actual route passenger numbers across all route connections/services, rather than just the top 20, top 50 or major city connections? It would be interesting to get some idea of passenger numbers on the lesser routes, both domestically and internationally across Australia and NZ. One assumes that if BITRE doesn’t collect and publish all routes served by RPT aircraft (larger than 18 seats, and/or with total route pax numbers say more than 5,000 pa), then this is left to the airlines and airports. If they (BITRE, airlines, or airports) are not compelled to publish in a timely, standardised manner then it makes even lay-analysis of markets, routes, and airports all the more difficult. The data in other parts of the world seems far more comprehensive and accessible. From BITRE there seems to be lots of measurement of the macro (SYD-MEL-BNE), but not much of the micro or medium? Air NZ is waking up to the fact that the key to competing effectively and protecting market share on the Tasman these days is to capacity dump with wide bodied jets between the hub cities so to redeploy the A320 fleet and champion new direct Australian routes, In some instances, transfer traffic will be the only way to make these new routes viable year round so its a smart long term strategy and will no doubt lead to more North and South American destinations ex. AKL. A good way to ease growing congestion at the major Australian gateways too.